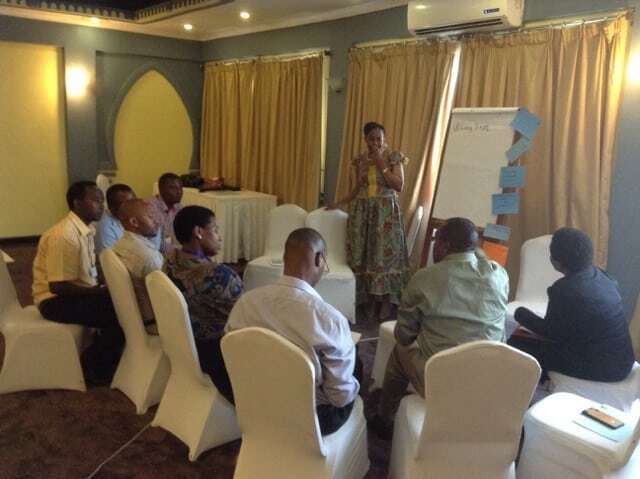 Perspectivity, together with Responsible Tourism Tanzania designed and facilitated a training workshop to grow sustainable tourism. The objectives were to share knowledge and experience on sustainable tourism, to have been introduced to the certification system of Responsible Tourism Tanzania, to have looked at sustainable tourism from different perspectives, to reflect on own roles and organisations in relation to sustainable tourism and to have identified short and long term actions to drive sustainable tourism forward in Tanzania. Participants came from Ministry of Natural Resources and Tourism, Ministry of Industrialisation and Trade, Tanzania National Parks, Ngorongoro Conservation Authority, Tanzania Horticulture Association, Tanzanian Guides association, Tanzania Hotel association, managers, owners, development partners and NGO’s. Most of the stakeholders were present and it was realized how important collective effort is in order to drive sustainable tourism forward. One of the main results is that the need was felt to establish a multi stakeholder team to prepare the public private dialogue for next year and to develop a common vision and plan. The workshop is part of a component of the a Swiss funded Trade Development programme, which is to promote sustainable tourism and adopt a holistic approach. ← Who is the boss in our brain?